Bellavitano Wedges are available in: Raspberry Tart Ale, Merlot, Balsamic, Espresso, Black Pepper and Citrus Ginger. 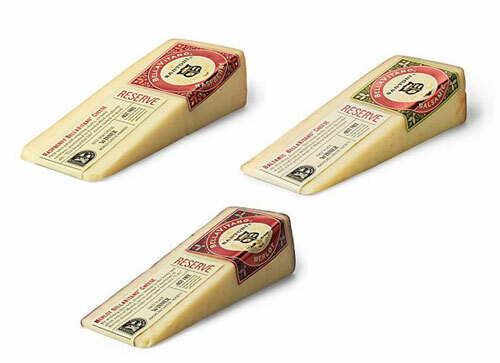 This premium cheese features the unique Parmesan flavor and creamy Cheddar texture of our signature BellaVitano cheese – soaked in New Glarus Raspberry Tart Ale to bring out the fruity notes of the cheese. The fruit of the black pepper vine, used since antiquity in European cuisine, is present here again to accent our finest creation — rich, nutty, creamy BellaVitano. By adding just the right pinch of cracked black peppercorns, we impart a spicy zestiness that's nothing to sneeze at. To the beautiful life!